C200 GLASS is equipped with two USB 3.0 ports, audio ports, a reset button and a RGB LED switch on the upper I/O panel. By pressing the RGB LED switch, you can change the RGB lighting and effects on the front panel of the chassis with ease. It comes with seven built in colors and four color effects which allow the users to switch their own color styles as desired. In terms of expandability, a maximum of ATX size motherboards can be installed. C200 GLASS can be installed with fans and radiators on the front, the upper and the rear. 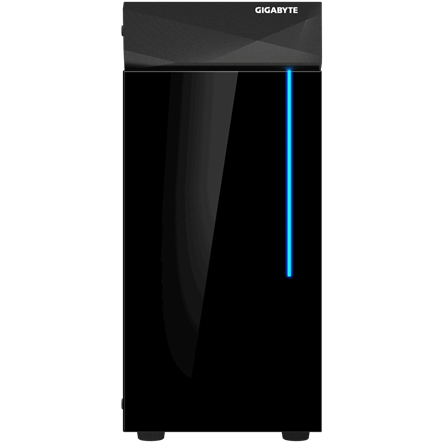 It can support a total of 6x120mm fans and can be installed with 280mm radiators at the front and 240mm radiators at the top. For hard disk installation, it can support 2 sets of 2.5″ SSD and 2 sets of 3.5″ HDD exclusive installation space (3.5” HDD can be replaced by 2.5″ SSD). C200 Glass provides a solid installation configuration, internal airflow won’t be obstructed by the 5.25“ Drive Bay. 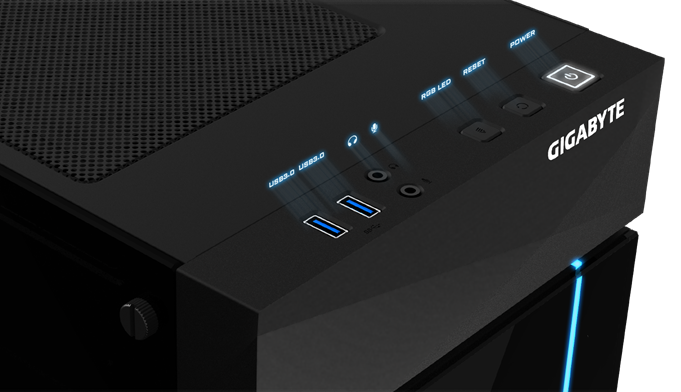 Also, the stylish vent design on the sides will increase the airflow intake for greater ventilation, quickly dissipating the heat from the CPU and GPU for great ventilation. In addition, unlike most other chassis with a PSU shroud design, the messy cable power connectors can be hidden inside it. C200 GLASS also allows users to show off the side of the PSU for a stylish outlook while rigging. The removable dust filters are designed for users to make cleaning a much easier task.